THE eight-year long global equity bull market has boosted the wealth of the Asian-Pacific rich and super-rich to extraordinary levels. Capgemini’s latest Asian-Pacific Wealth report estimates that the numbers of high net worth individuals (HNWI) surged by 400,000 to 5.5 million in 2016. Their wealth rose by 8.2 per cent from US$17.4 trillion in 2015 to US$18.8 trillion. These staggeringly high figures compare with 3.3 million people in 2010, with assets valued at US$10.8 trillion. The estimates, albeit interesting, cannot be regarded statistically fool-proof. The consulting, technology and outsourcing company, covering the financial sector and other services, has based its calculations on surveys of only 1,100 Asian-Pacific HNWIs in Australia, China, Japan, Hong Kong, Singapore, India, Malaysia and Indonesia. There is also a wide gap between the rich HNWI individuals with a minimum of financial assets over and above their homes of US$1 million and the “ultra” HNWIs. Capgemini’s breakdown indicates that within Asia, the super-rich, that is, ultra high net worth individuals grew to 40,700 people worth US$30 million plus. There were 466,700 mid-tier millionaires worth between US$5 million and US$30 million, while the bulk or some 91 per cent of all HNWIs have grown to five million “millionaires next door”, each worth between US$1 million and US$5 million. Combining the super-rich with the less rich, overall wealthy Asian individuals have grown by US$8 trillion or 74 per cent since 2010. China and Japan, the two largest markets in the region, account for 73 per cent of the HNWI populace and 68 per cent of the wealth, estimates Capgemini. In 2016 the growth of wealth slowed slightly. Hong Kong, for example, “lost steam”. The beneficiary was rival Singapore, which experienced HNWI population and wealth annual growth of 6 per cent and 6.6 per cent respectively, following small declines in 2015. Indonesia, Thailand and India also experienced significant growth in HNWI numbers and wealth. 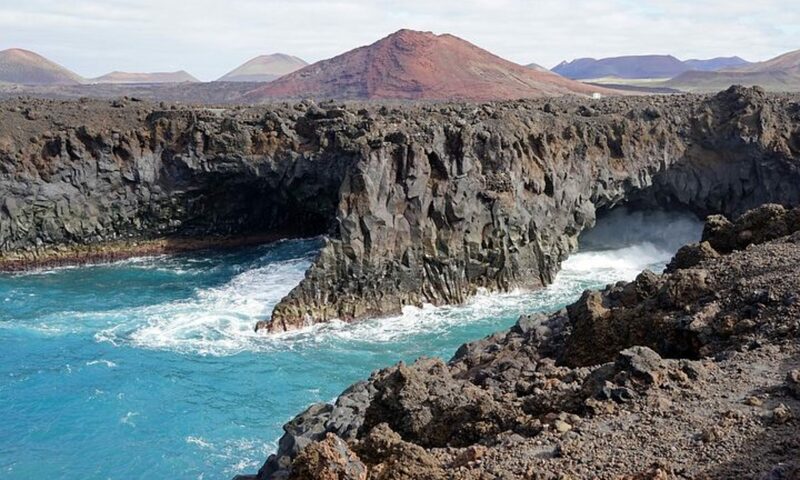 The recovery from a relatively poor year in 2015 was due to “a significant improvement in equity market performance” states Capgemini, adding that the region has in particular benefited from a sharp recovery in emerging markets. The rich and especially the super-rich, however, have become cautious about current high valuation levels of markets. In the second quarter of 2017, the biggest asset allocation was in equities, up 4.4 per cent from 2016 to 27.7 per cent of their total wealth, reckons Capgemini. Reflecting a more conservative, cautious stance. However, cash and cash equivalents rose to 24.9 per cent from 20.6 per cent last year. Next biggest holding was real estate, down to 18.7 per cent from 20.5 per cent, while fixed income dipped slightly to 18.3 per cent of the portfolios. Alternative investment allocations into hedge funds, private equity, derivatives and commodities slipped to 10.4 per cent from 16.6 per cent, mainly due to relatively poorer performance. Due to worries about developments in North Korea and China, HNWIs in Hong Kong, notably 68.1 per cent, China, 45.5 per cent and Singapore, 42.2 per cent, have allocated more of their wealth outside their home markets, contends Capgemini. In general, the super-rich, medium rich and “next door millionaires” have benefited from central banks’ quantitative easing (QE) and negligible interest rates. Even after depleted holdings following the crash of 2008/2009, they already held wealth, owned businesses and were the higher salary earners in companies and professions. Indeed, Capgemini has estimated that the number of millionaires in the world rose by nearly 8 per cent last year to an all-time high of around 16.5 million people, with record total wealth of US$63.5 trillion. Although economies are at last beginning to grow, wealth inequalities between the poor with debt and at best minimal savings and pensions have widened. In no small measure, this discrepancy has brought about the rise of populism and surprising election results such as Brexit, ironically, billionaire Donald Trump and the rise of extreme right and left-wing parties in Europe. 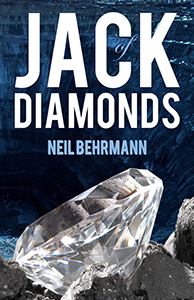 Jack of Diamonds Neil’s thriller on global diamond mining and smuggling, will be published in coming weeks. 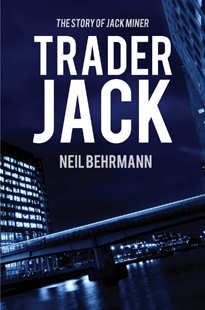 It is the sequel to the thriller, Trader Jack, The Story of Jack Miner. 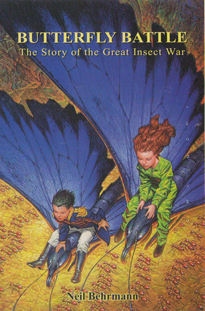 Neil is also author of anti-war children’s novel Butterfly Battle- The Story of the Great Insect War. The updated 2015 Waterloo commemoration version of Butterfly Battle is on Kindle and e-books. Book reviews are on neilbehrmann.net and Amazon and more reviews are welcome. If the books are purchased direct on this site, a proportion of the proceeds will go to low cost charities. Next PostNext Derivatives’ shrinkage – a danger sign?